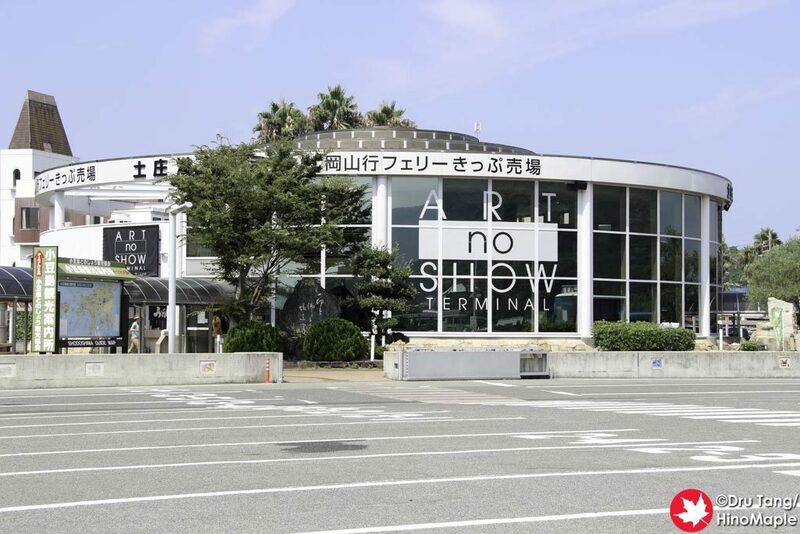 ART no SHOW TERMINAL is the ferry terminal building of Tonosho for people heading to Okayama. 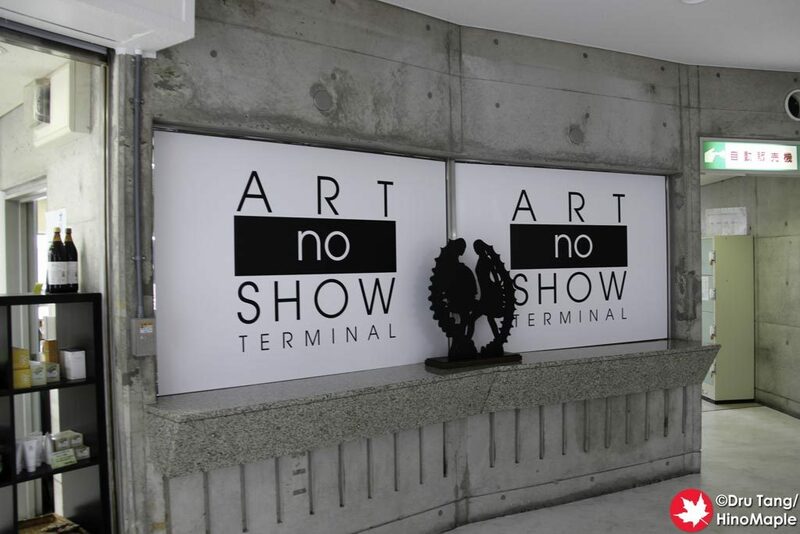 The ART no SHOW TERMINAL is both a ferry terminal building and an art exhibit inside within a cylindrical building that was very fun to play with. The art actually consisted of two major displays, one of the first floor which was free and one on the second floor which had an admission fee. I cannot confirm if the first floor display is still available but the second floor exhibit is now a rotating exhibit. 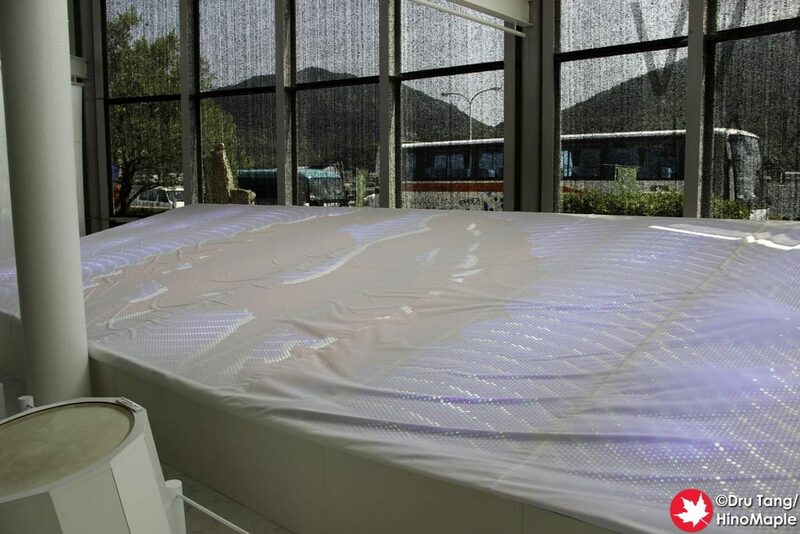 The first floor was an interactive exhibit that had a huge table with a cloth and light display under it. In front of the table were a couple of drums. The drums were connected to the table so that when you beat on the drum it would send shoots of air under the cloth making it come alive. The harder you pounded the drum the bigger the waves of the cloth. It was a really fun way to waste time but the worst part was if you worked in the terminal. The kids loved the drums and would continually bang on the drums. I could imagine the workers going a bit batty with the drums being beaten all day long, but the kids would be having a blast. Upstairs was a bit of a let-down for me when I visited in the summer of 2016. In the spring they had a fashion exhibition from Junko Koshino. 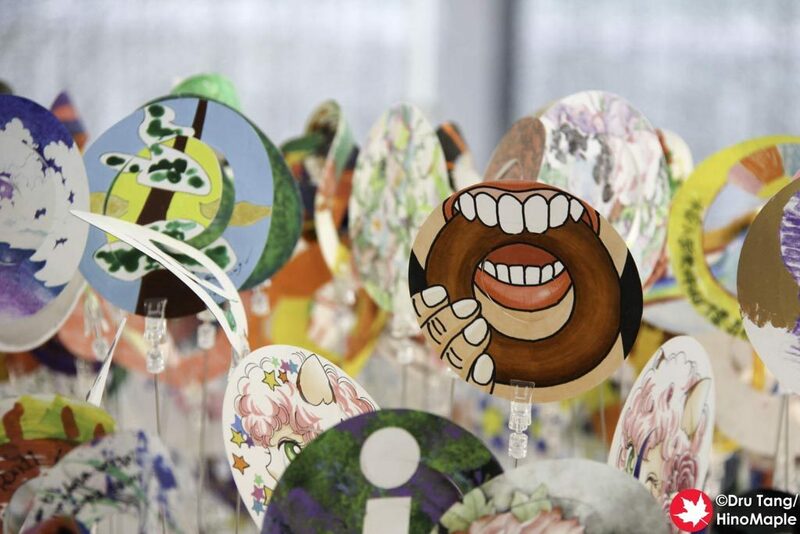 The drum display on the first floor was a collaboration of Junko Koshino and Atelier OMOYA. Ms. Koshino has a very weird fashion sense and I wasn’t really attracted to what I saw. The fashion dresses themselves were not available when I visited as they changed it to paper rings with what looked like dreams and wishes of the local children. 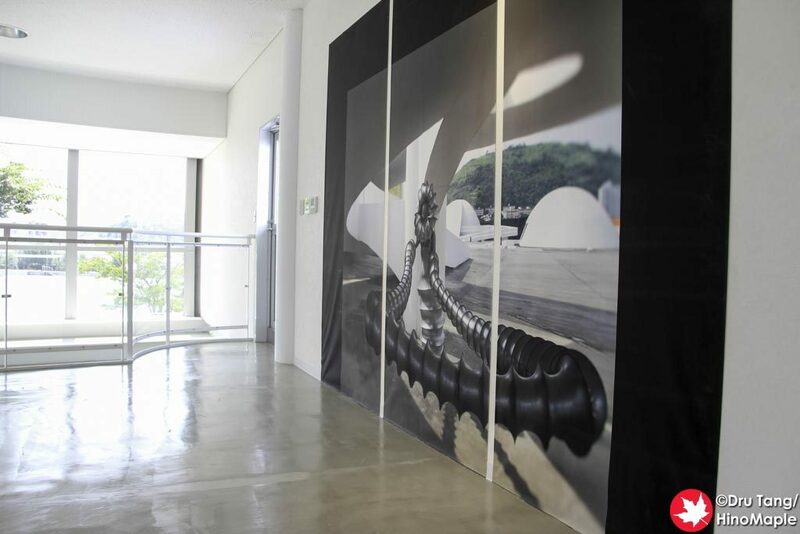 There were photographs on the walls of Ms. Koshino’s work but I was a bit unsatisfied with it. 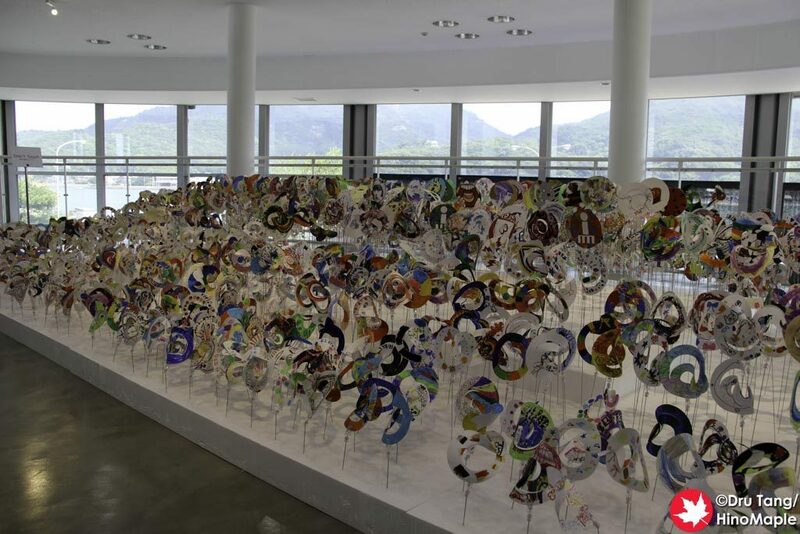 Perhaps if I saw her works in person I would have been more amazed by it. ART no SHOW TERMINAL itself is a fun play of words. For someone who has no Japanese experience, it simply looks like “art, no show”. This doesn’t have much meaning overall but when you convert it into Katakana, it becomes “A-to-no-sho” or “Ah, Tonosho”. While you can translate it into anything you wish, Tonosho gets mentioned within the artwork when spoken in Katakana. While this made me really want to see the artwork inside, I was still left a bit unsatisfied with things but look forward to seeing what the terminal has to offer in the future. 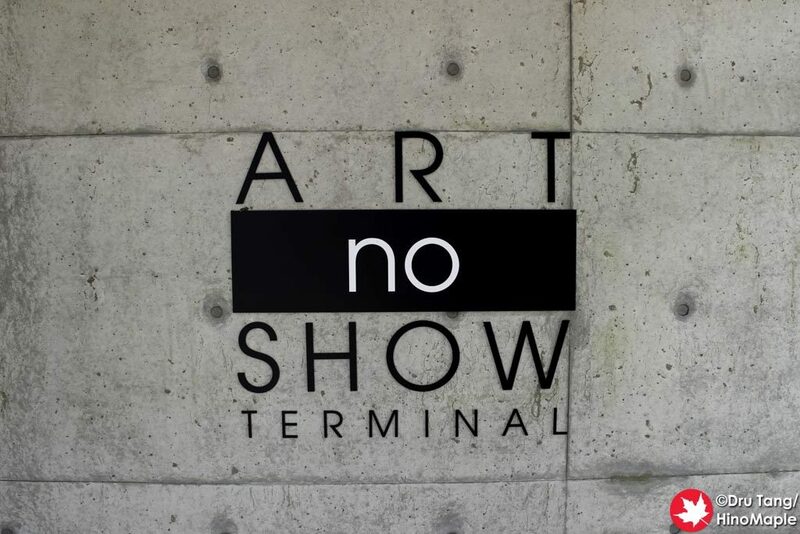 Note: The art of” ART no SHOW TERMINAL” during the 2016 Setouchi Triennale is no longer available. The exhibit has changed and I cannot confirm what is on the first floor at this time. 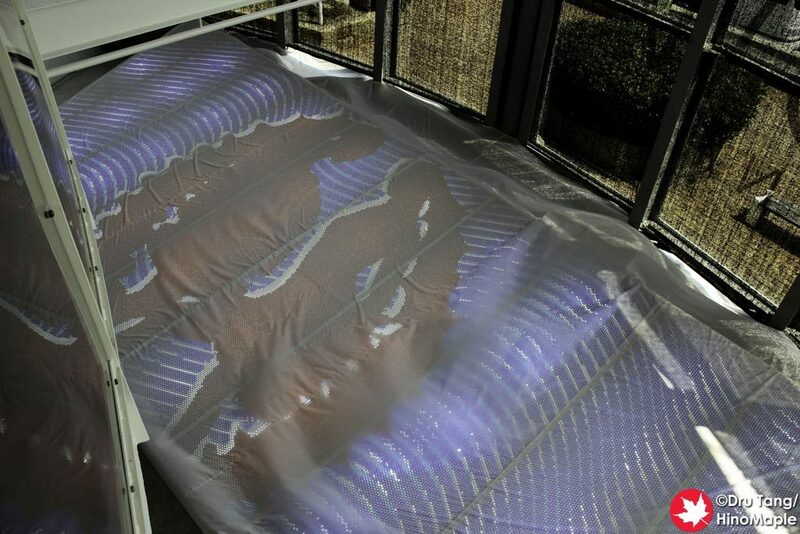 This entry was posted in Setouchi Triennale and tagged ART no SHOW, ART no SHOW TERMINAL, Atelier OMOYA, japan, Junko Koshino, Shodoshima, Tonosho by Dru. Bookmark the permalink.